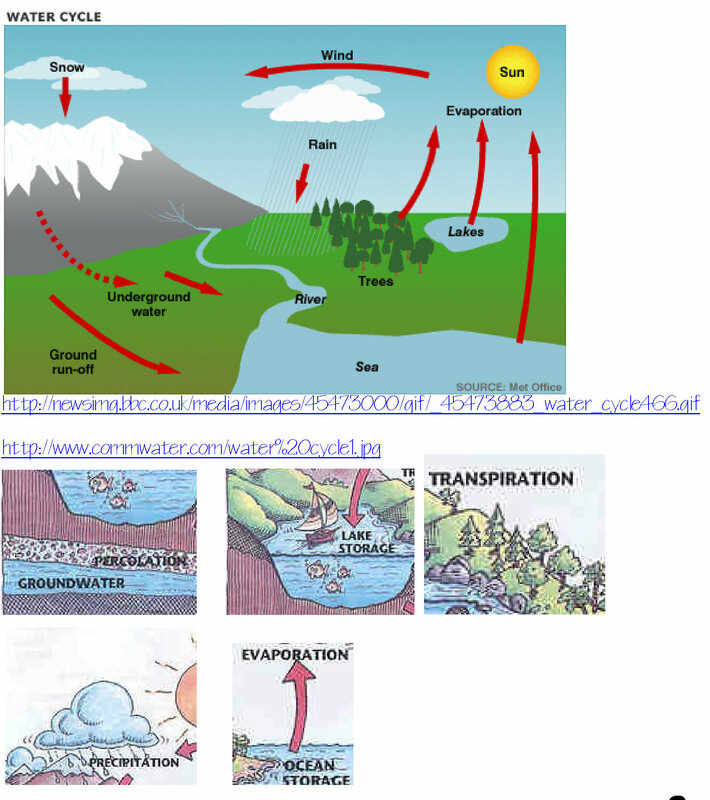 Taking our cue from references we read about in our living history book, we looked at how rain forms and falls to form rivers and flow into the sea. Take a large glass bowl and pour some water in it. 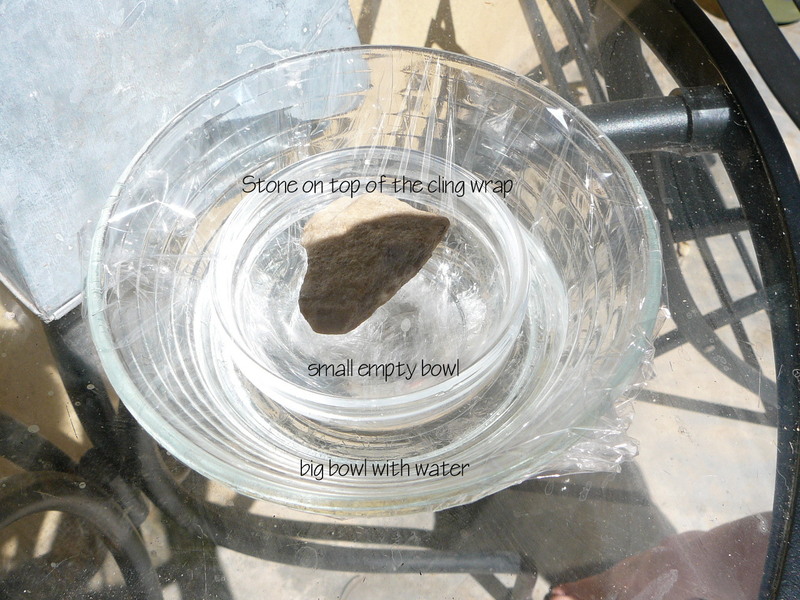 Place an empty smaller glass bowl inside the big bowl. Cover the bowls with plastic cling wrap. Place a pebble in the center so that the cling wrap dips down slightly. Place the bowls in the sunshine and leave for several hours. Observe the water condense and form droplet on the inside of the plastic cling wrap. When large enough, the droplets fall into the smaller bowl = rain! 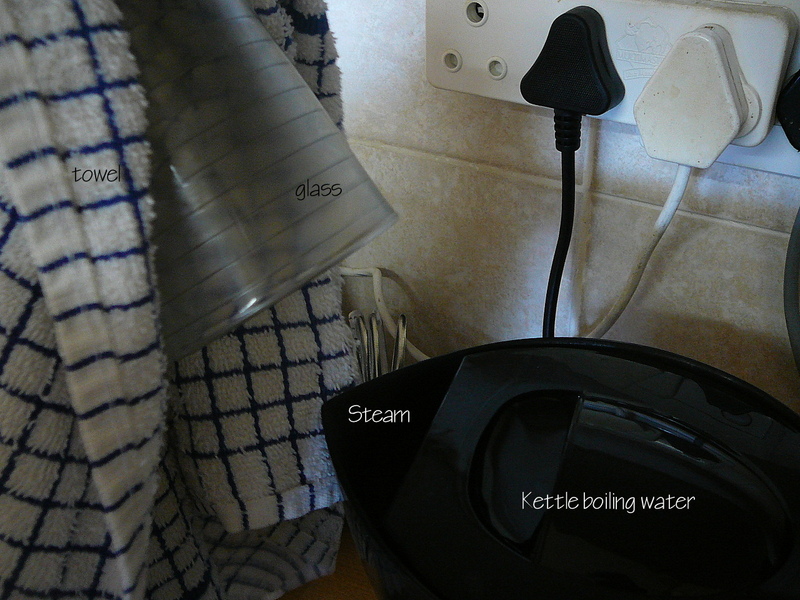 Hold a glass with a towel carefully over steam coming out of a boiling kettle spout. Observe water droplets forming inside the glass. These droplets join and drip down and out off the glass. Parental note: Steam burns and this must be done by an adult or with careful supervision. 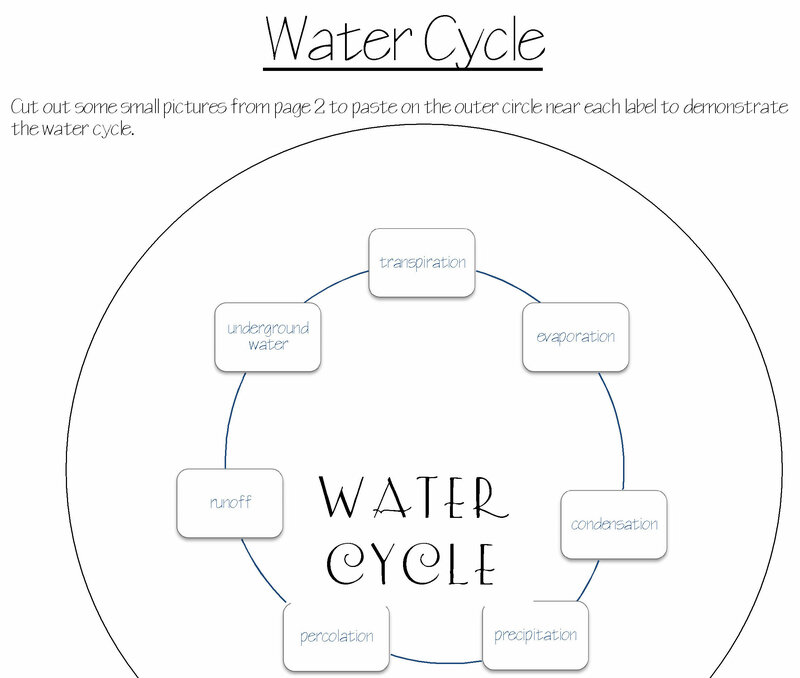 This is a really good and manageable way to see the water cycle. Thank you for sharing! Thanks so much for the time you put into the curriculum that you’re posting! We’re going to be doing this activity next month, during our rainy season.